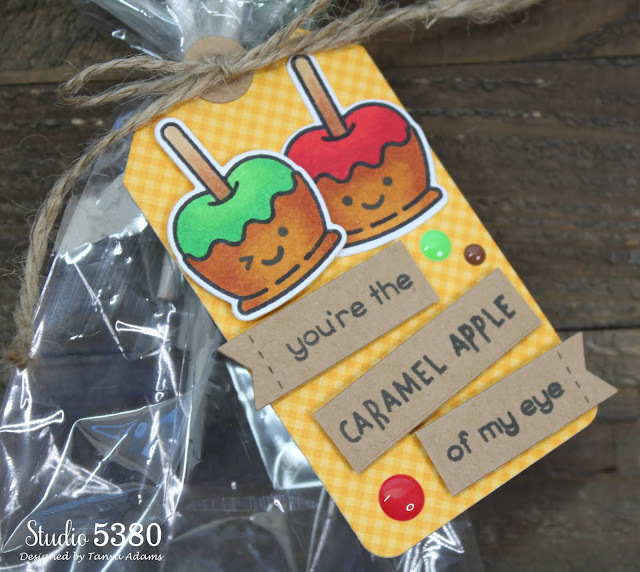 I used the super cute "Caramel Apple" stamp set from Lawn Fawn along with their "Tag, You're It" die set to create these fun gift tags. 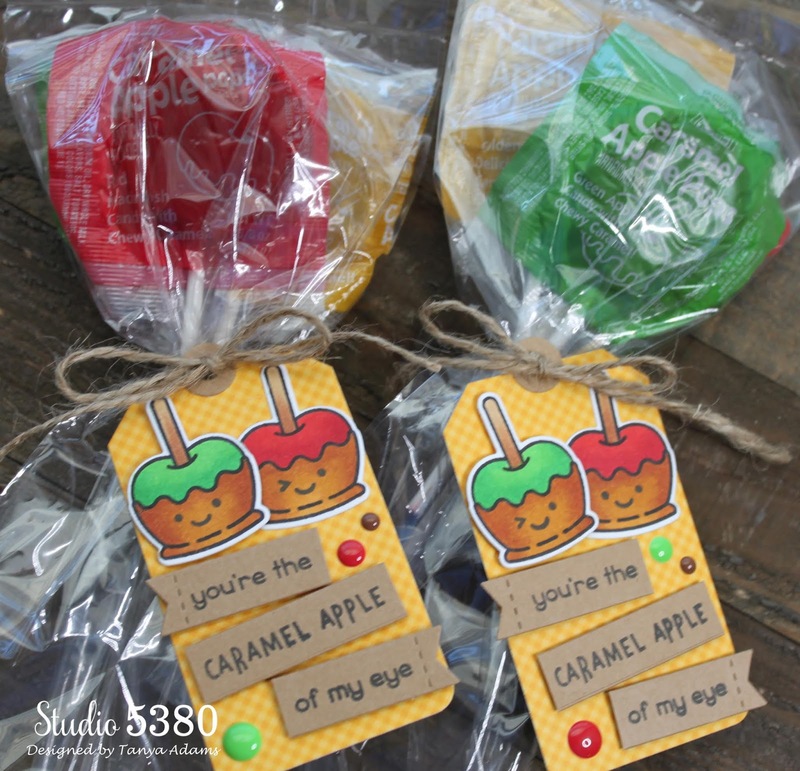 I put a few Caramel Apple Pops into each cellophane bag and added a tag with a bit of twine. I think this makes such a cute little Halloween treat! I'm going to be linking up my treats with the current Lawn Fawn Challenge, Lawn Fawnatics Challenge #38 - Awesome Autumn. Have a great weekend and I'll see you soon. 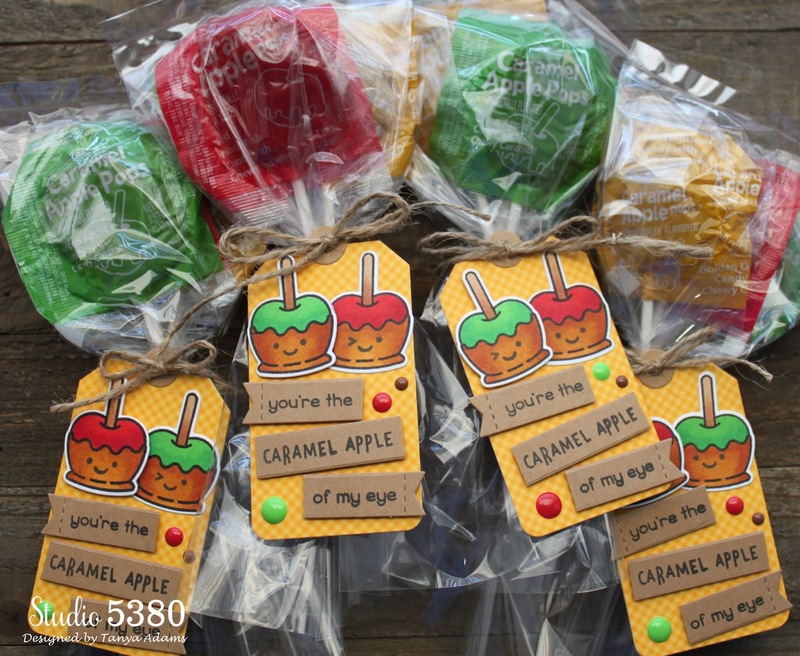 These are so cute Tanya! So festive and just adorable!